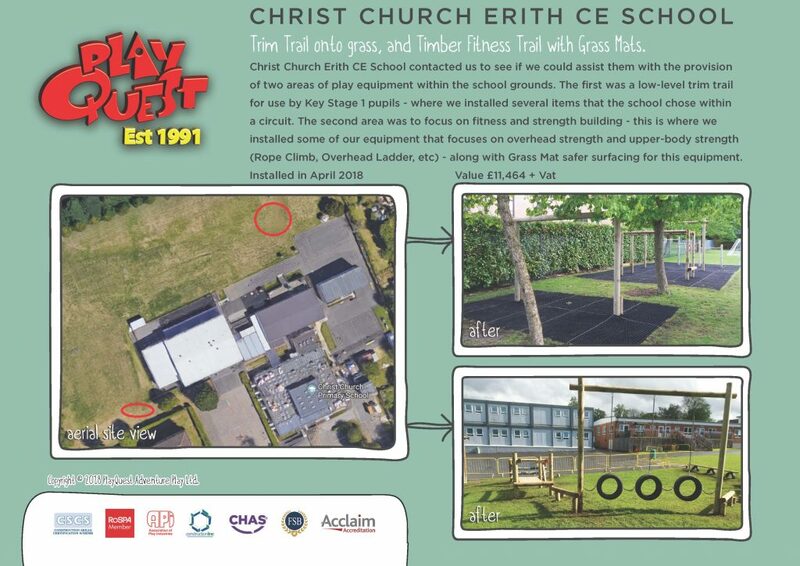 Christ Church Erith CE School contacted us to see if we could assist them with the provision of two areas of play equipment within the school grounds. The first was a low-level trim trail for use by Key Stage 1 pupils – where we installed several items that the school chose within a circuit. The second area was to focus on fitness and strength building – this is where we installed some of our equipment that focuses on overhead strength and upper-body strength (Rope Climb, Overhead Ladder, etc) – along with Grass Mat safer surfacing for this equipment.